Blending harmonious architecture and natural surroundings, this unique project sets new standards, finished to the highest quality and specifications for not just living, but living with lifestyle. 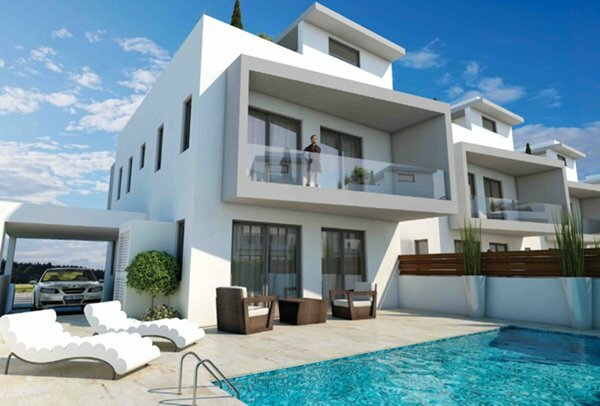 This new high specification project consists of 3 Bedroom Villas and it’s a fantastic choice for a home or investment opportunity. 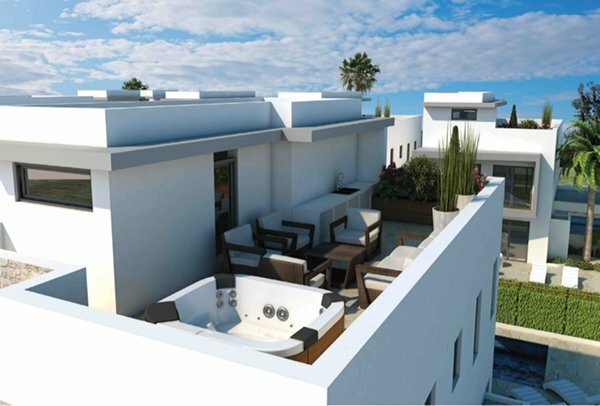 Private parking, private swimming pool and Jacuzzi are just a few of the features provided in this project with panoramic sea views from the fully equipped roof gardens. Elegant and contemporary, the interiors were conceived and designed by the vendors to meet every human comfort with innovative ease, while the combination of stone and timber on the exterior facades radiates a peaceful and harmonious aura making the homes luxuriously warm and welcoming. 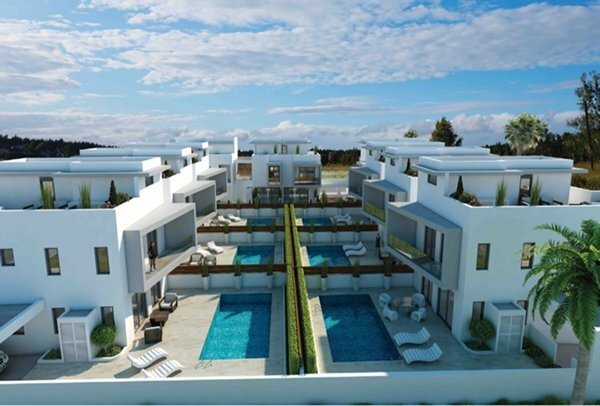 This modern designed development of luxury villas is located in a very up-market area along Dhekelia Road - Larnaca Bay. There is easy access to the highway which leads to all major towns together with easy reach to the popular tourist resorts of Protaras and Ayia Napa. Larnaca’s City/Shopping Centre and the famous Phinikoudes Promenade are around 6 minutes drive, while the International Airport of Larnaca is 15 minutes drive. 1715 Palm Tree Villas, Block D, Villa 1 Villa 3 2 600,000 VAT applicable. 1716 Palm Tree Villas, Block D, Villa 2 Villa 3 2 600,000 VAT applicable. 1717 Palm Tree Villas, Block D, Villa 3 Villa 3 2 600,000 VAT applicable. 1718 Palm Tree Villas, Block D, Villa 4 Villa 3 2 Upon Request VAT applicable. 1719 Palm Tree Villas, Block D, Villa 5 Villa 3 2 Upon Request VAT applicable. 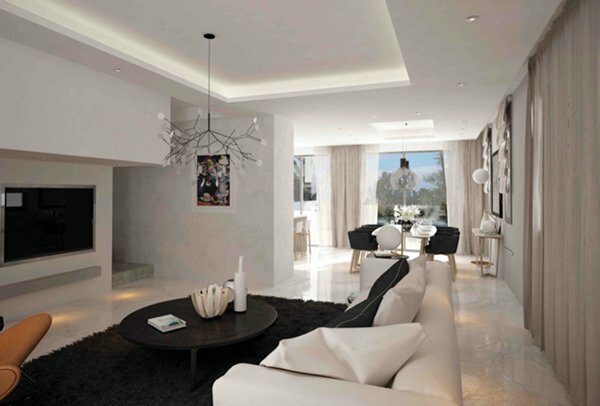 1720 Palm Tree Villas, Block D, Villa 6 Villa 3 2 600,000 VAT applicable. 1721 Palm Tree Villas, Block D, Villa 7 Villa 3 2 600,000 VAT applicable. 1722 Palm Tree Villas, Block D, Villa 8 Villa 3 2 Upon Request VAT applicable.